Marathi Peoples are defined by their cool and best attitude then why not set a Status on Attitude in Marathi Language to define it. 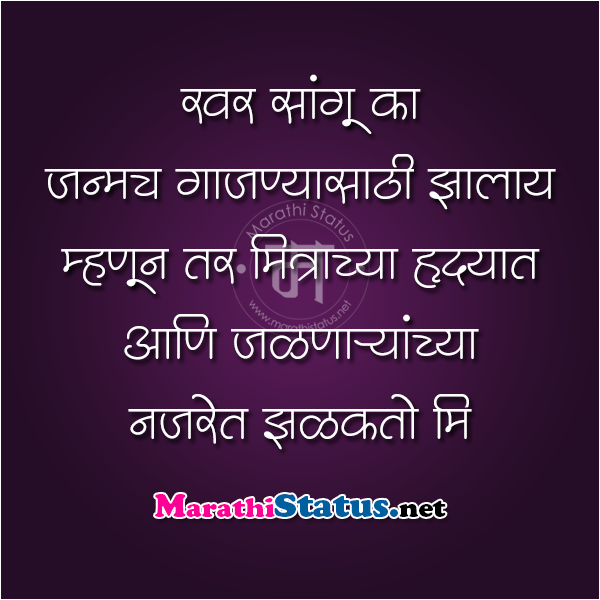 Following is a complete list of latest High Attitude Status and Positive Attitude Quotes in Marathi. 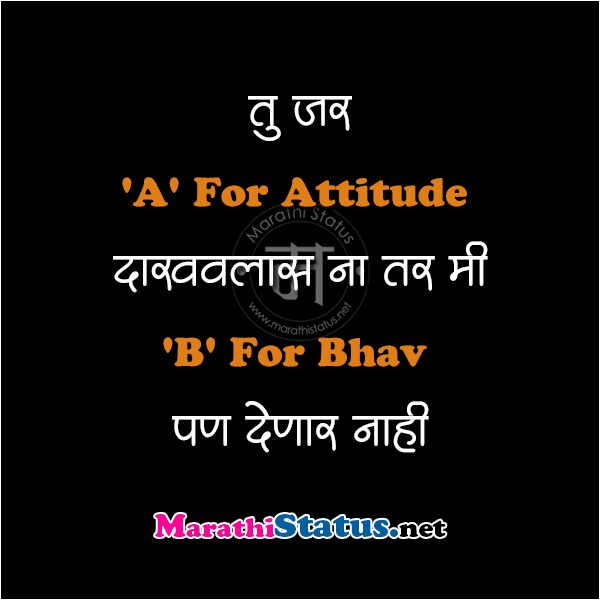 All are so compelling that you will come again and again to set a new Attitude Lines DP and Attitude Status in Marathi for whatsapp and facebook from this list. 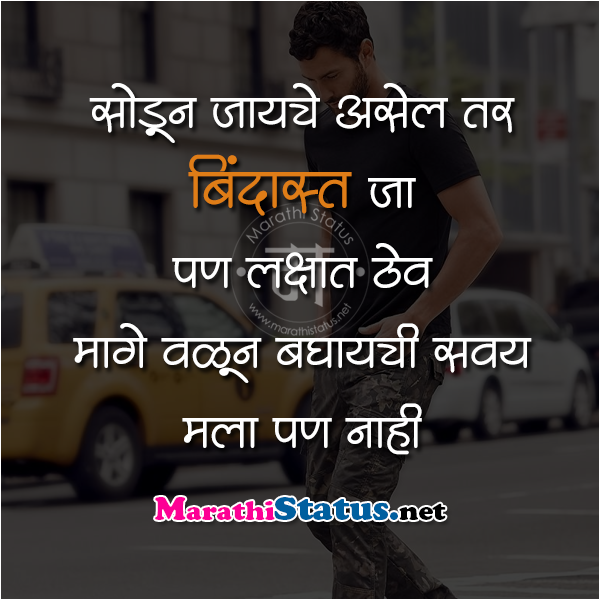 We have collected these status, so that you need not waste your time searching or typing across internet for Attitude Status in Marathi and Marathi Attitude Shayari. This collection is for both boys and girls to define their positive attitude in marathi,.